Name: Steve Munroe Life Athletes, hello and welcome to episode 66 of the Life Athletics Podcast. 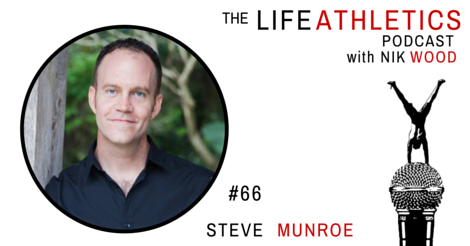 Today’s guest Life Athlete is Steve Munroe. Steve is the co founder and CEO of Turnpoint and a cofounder of Hubud, a co-working hub in Ubud Bali. He left a career at the UN for a life on his own terms. He advocates putting more life into your work and doing so with a bit of flair and a bit of fun. A good life. A really, really, good life. Honing the ability to look someone in the eye.